A certified nursing assistant (CNA) is responsible to provide patient care under the supervision of a registered nurse. Certified nursing assistants work in a health care setting like a nursing home, hospital, rehabilitation center, or an adult day care center; where they have regular contact with the patients. A CNA is regularly involved in patient care; therefore it is essential for them to understand how to effectively handle patients in order to provide quality care to them. Patients can be difficult to handle because they can be frustrated, upset, or frightened, because of sickness. A CNA should understand the feelings of the patient; he or she should actively listen to the patient’s complaints. A CNA should express concern for the patient’s feelings and respond promptly. A CNA’s job is very demanding and at times demoralizing also. A CNA’s job is to care for patients and help them; therefore, a CNA should be attentive to every patient’s needs. It is important for a CNA to go to the job with a positive attitude and a smiling face every day. It is not unusual for a CNA to encounter an angry or a demanding patient; therefore, a CNA should know the tactics to handle such patients. A CNA should first understand the reason behind anger or aggression of the patient and try to resolve the problem. In any condition, a CNA should try to remain calm and avoid negative language. If it is impossible to handle any such situation for a CNA, he or she should report it to the nurse immediately. A CNA faces a lot of ups and downs in his or her professional career. Being a CNA, you should be a little more resilient and keep reminding yourself why you decided to become a CNA. With careful listening, compassion and empathy, a CNA can overcome all these challenges. Are CNAs and Medical Assistants the same? How Can a Certified Nursing Assistant Increase His or Her Salary? How Much Can a CNA Earn? 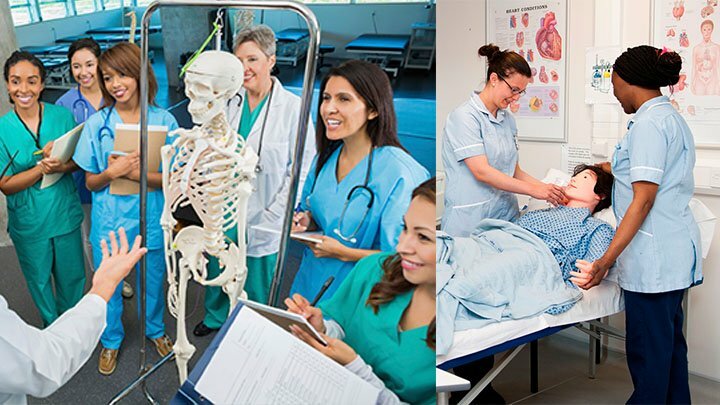 How to Find the First CNA Job? How to get certified as a CNA in Wilmington NC? How to Get Your CNA Registry Card If You Lost It? How to Prepare for a CNA Job Interview? How to Verify Your CNA License? Is an Accelerated CNA Program as good as a Conventional One? What Is Covered in the Coursework of CNA Classes? What is the Difference between a CNA and a PCA? What Kind Of Patients Do CNAs Work With?